Alice Kinsella is an Irish writer. Born in Dublin in 1993, and raised in County Mayo, she currently splits her time between the two. She holds a BA (Hons) in English Literature and Philosophy from Trinity College Dublin, and is currently studying for a Masters in Writing from NUI, Galway. Her poetry has appeared in a number of publications, including Headspace magazine, The Fem literary magazine, Poetry NI Holocaust Memorial Anthology, Poethead, Icarus, Headstuff, The Galway Review, The Sunday Independent, Hungry Hills Wild Atlantic Words Anthology, Skylight47, Boyne Berries, A New Ulster, Live Encounters magazine, The Ofi Press, The Stony Thursday Book, Banshee Lit, The Pickled Body and The Irish Times. She is included in Poethead’s indices ‘Women Poets’ and ‘Contemporary Irish Women Poets’. Her video poem ‘When’, a feminist reworking of Kipling’s ‘If-’ featuring sixteen female poets, was published in The Irish Times for International Women’s Day 2017. Her work has been shortlisted for several competitions, including Creative Writing Ink January 2016, the Annual Bangor Poetry Competition 2016, Hungry Hills Wild Atlantic Words Poetry Competition 2016 and the Over the Edge New Writer of the Year Competition 2016. She was commended in the Jonathan Swift Awards 2016, and the Gregory O’Donoghue International Poetry Prize 2018. She was longlisted for the Cinnamon Press Pamphlet Prize 2017. Alice is an experienced public reader, having read widely on the Dublin circuit, as a featured poet at Flying South, The Monday Echo, A-Musings, Dreaming without sleep: a culture evening held by the Office of Public Works, Choicebox and Common Grounds Collective’s Open Canvas: a night in aid of Art Refuge UK. 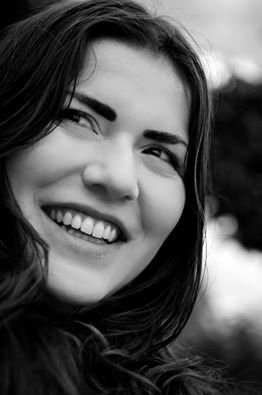 She was the poetry event coordinator for the Temple Bar Culture and Arts Festival 2016. In 2016 she was commissioned to give a lecture on the political power of poetry during View: Templebar Politcs, Arts & Ideas Festival. In April 2017 she was invited to read her poetry in NUI Maynooth as a part of their Herstory event. She was the assistant editor of Looking at the Stars, a limited edition anthology of Irish writing edited by Kerrie O' Brien and Alice Kinsella to raise money for the Rough Sleeper Team of the Dublin Simon Community. The anthology sold out and raised €21,190.29 for Dublin Simon Community. Her debut play ‘The Passing’ was staged as a part of What’s the Story at the Liberties Festival 2016. It went on to be performed at Cruthú Arts Festival and Temple Bar Culture and Arts Festival in the same year. The Passing was also performed as a part of Little Shadow Theatre’s New Irish Playbook in May 2017. Alongside poet Colm Keegan, she was one of two writers in residence at SICCDA (South Inner City Community Development Association) for 2017. Alice's debut, Flower Press, will be published by The Onslaught Press in 2018.